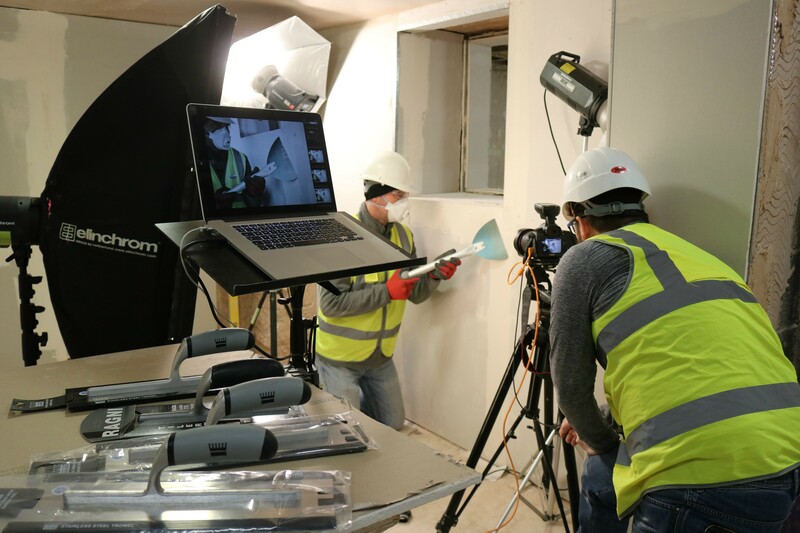 South & City College’s Bordesley Green campus was chosen as the setting for the publicity shots of a new range of trowels by tool supplier Tools of the Trade. Tools of the Trade has worked closely with the college for four years, providing a range of kit for use by the students and apprentices, so it was a natural choice as a setting to shoot its new Ragni collection. Simon Winder, head of School for Plumbing, Gas & Air Conditioning at South & City said: “We were an ideal choice as a venue for the photography, as not only do we have great facilities for the backdrop, but we also offered consultancy to ensure the tools were used in the correct way and as realistically as possible.